Today we take a flight to Chandigarh or another option is to take the comfortable Shatabdi train. On arrival, check in to the resort. Set at an altitude of about 7700 ft / 2350 M, from here unfolds a magnificent panorama of mountains. After breakfast drive to Sangla, Every year, the Himalayan valleys of Kinnaur and Spiti emerge from a thick cloak of snow to reveal a different, secret world to man. 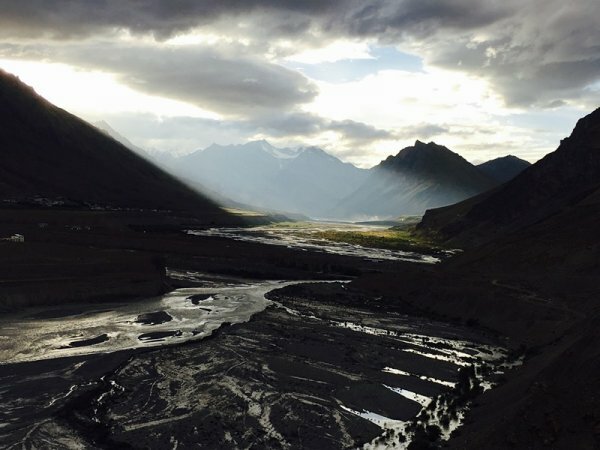 Our discovery of the lesser-known Himalayas can begin at the Banjara Camp in the Sangla Valley. 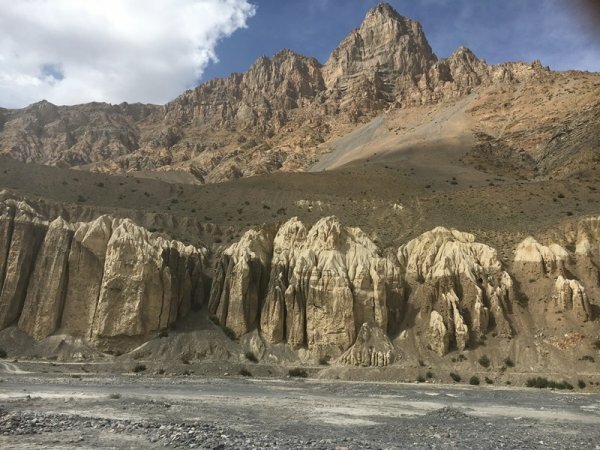 At a height of 2,700 Mts the Banjara Camp is surrounded by towering mountains on all sides and is set on the banks of the Baspa River that surges through the valley. 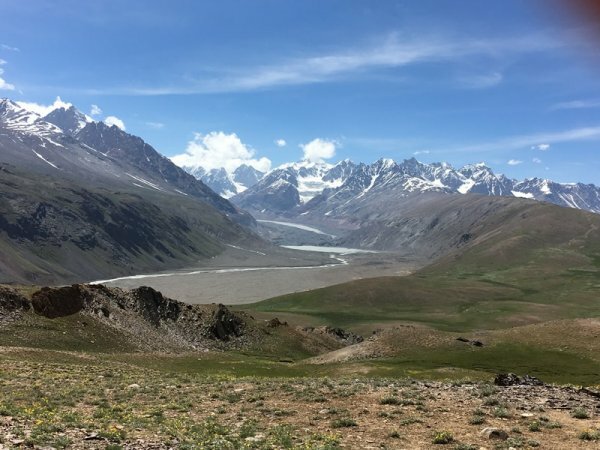 Long walks to discover the amazing fauna and fora of the valley, treks to view snow covered Himalayan peaks, angling for trout, experiencing some of the local culture are some of the delights that are on offer. After breakfast proceed for same day excursion to Chitkul and hike up to Nagasthi, the last village on the old Indo-Tibetan trade route. After breakfast drive to Nako. 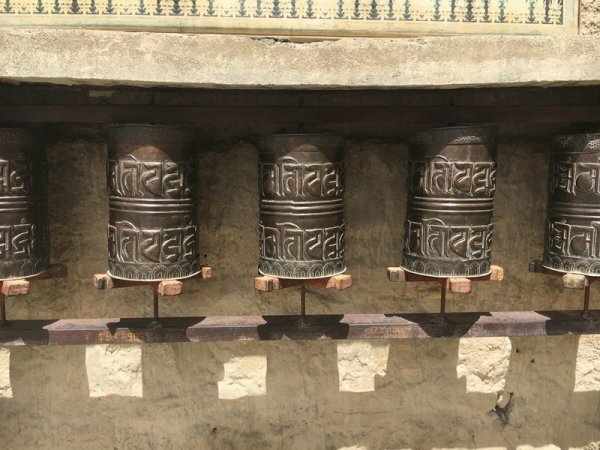 We visit the Nako Monastery located in the village as well as several other Buddhist temples. After breakfast, drive to the village of Tabo in Spiti valley. En-route, we shall visit Nako village, famous for its serene Nako Lake. Later, we shall reach Sumdo which is the last village in the Kinnaur District and the entry point to the Spiti Valley. The last point of the Hindustan-Tibet road, Kaurik, is only 19 km from Sumdo. We can take a detour here to Giu village famous for its naturally preserved mummy that is almost 500 years old. The mummy is said to be of a Tibetan Buddhist Lama and is in a sitting posture. We shall continue our drive and arrive at Tabo. After breakfast, visit the Tabo Gompa, reputed to be the oldest (an inscription on a wall here indicates, it was founded in AD 996) continuously functioning Buddhist monastery in India and the Himalayas, with its original decoration and iconographic program intact. We then move on to see Dhankar monastery. 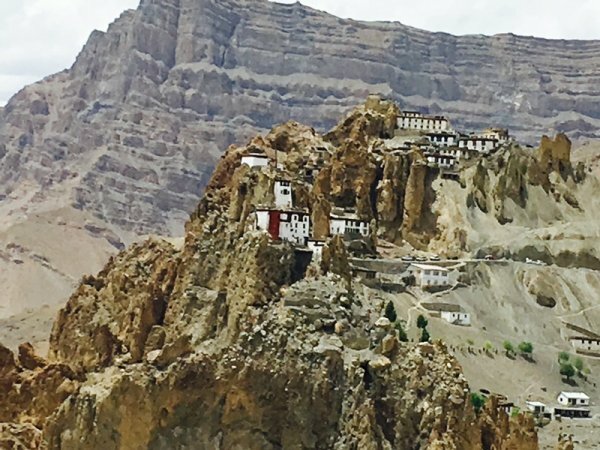 Dhankar, the traditional capital of Spiti, sits pretty on a hilltop. The fort here overlooks the Spiti valley and it was used as a jail in olden days. Today, more than 160 lamas reside here. A statue of Dhyan Budha is the main attraction of this more than seven-century old monastery. About an hour's walk (about 3 kms) from here on a slightly uphill track is a small lake that sits languidly like a bowl. The size of the lake in the summer varies every year depending on how much snow the catchment area had in the previous winter. On arrival, check in to the retreat and rest of the time is at leisure. After breakfast, visit the Ki monastery and Kibber village. Ki gompa is a Gelugpa sect monastery. Its hilltop position points to a post-thirteenth century construction. 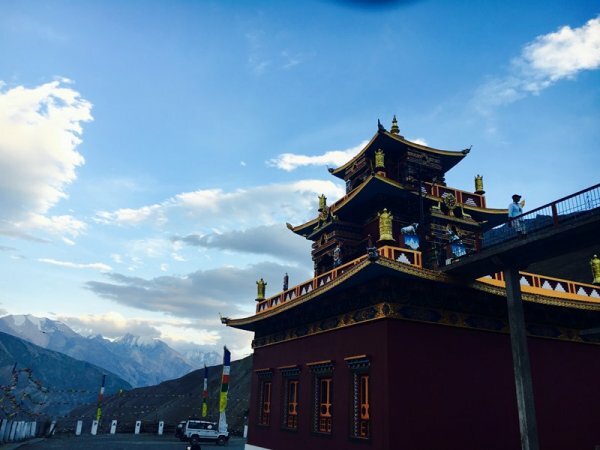 The three storied structure consists largely of storage rooms at the bottom level, while the middle floor houses the Dukhang- the assembly hall- and the uppermost floor has another temple and the head Lama's quarters, on one side of an open terrace. From here a scenic drive takes us into the pasture country of Kibber. The pastures are spread over hundreds of square kilometers. Kibber is a small village and is the take off point for the popular trek to Tso Moriri in Ladakh. Further up six kilometers from Kibber, we drive up to a charming village of Gete. Consisting of just six houses, it boasts of being the highest village in Asia connected by road. Drive back to the retreat for lunch and spend rest of the day at leisure - preferably resting. After breakfast, we shall leave Kaza and drive towards the beautiful ChandraTaal Lake (Lake of the Moon), located at an altitude of 14,100 ft . En-route, we shall drive via the famous Kunzum Pass (altitude 14,931 ft), the entrance pass to the Spiti Valley from Lahaul. Check into your fixed camps near the lake. Depending on the road conditions, we shall drive towards the lake till the permissible jeep able point and then trek to reach the lake. This lake is one of the most beautiful lakes in the country. Today morning drive to Solang and check into the hotel. Rest of the day is at leisure. After breakfast at the hotel, drive to Chandigarh to board the short flight to Delhi.